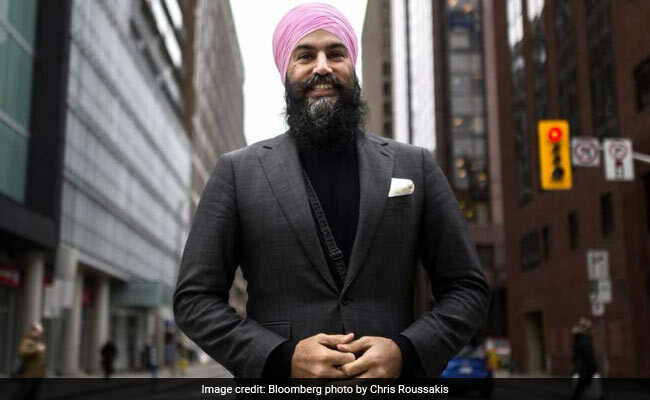 A Sikh man who wears a turban, Jagmeet Singh is the first non-white leader of a major national Canadian party. Justin Trudeau swept to power in Canada as a fresh face pledging to tax the rich and help the masses. Now a rival has picked up his playbook. Halfway through his mandate, Trudeau's two main challengers are in place for the 2019 election, each younger than he is. To the political right is Conservative Andrew Scheer, Trudeau's closest competitor in popular support and number of current lawmakers. But it's the man on the left who could determine the fate of Trudeau's Liberals. Jagmeet Singh, 38, the trilingual lawyer elected Oct. 1 as New Democratic Party leader, is taking on the prime minister at his own game, preaching left-leaning policies, a friend-of-the-masses mantra and an urban focus, all while indulging a penchant for selfies. Singh is looking to cash in on disenchantment as Trudeau fumbles his lofty pledges. "They haven't actually invested in the social programs we're proposing or talking about," he said in an interview. "Their commitments haven't really rung true." The NDP, which has governed provincially but not federally, is a party member of Socialist International, and Singh's platform evokes shades of Bernie Sanders. He wants to raise the corporate tax rate to 19.5 percent from 15 percent, expand Canada's universal healthcare system and block Kinder Morgan's Trans Mountain expansion, the country's only major proposed domestic oil pipeline. He also wants to create new tax brackets for high earners, raise levies on stock options and tax 75 percent of capital gains, up from 50 percent. "The first thing I would do would be an expanded social program and electoral reform," he said, listing options such as paying for pharmaceuticals and dental care, big-ticket items not covered in Canada's public system. Pharmacare alone would cost almost C$20 billion ($15.5 billion) annually, adding about 16 percent to federal spending. Singh is breaking from his predecessor, Thomas Mulcair, by considering deficits, while Scheer, who became leader in May, regularly criticizes Trudeau for running them. "I'm open to deficits if it's to keep the economy supported and also to prevent austerity, to continue supporting social programs," he said. An NDP win is currently a long shot. 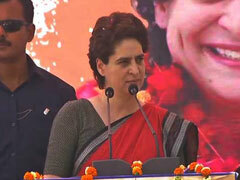 The party sits at 16.6 percent in polls, little changed from when Singh became leader. He has neither a seat in parliament nor any immediate plans to seek one. He regularly says reviving NDP fortunes will take time. This is all good news for Trudeau. Critically, the NDP's electoral strength in the last two elections has been driven by French-speaking Quebec, a province Trudeau's now targeting and where Singh has a problem. A Sikh man who wears a turban, Singh is the first non-white leader of a major national Canadian party. An Angus Reid poll found 31 percent of Canadians wouldn't vote for a Sikh who wears a turban and carries a ceremonial kirpan knife; the share was highest in Quebec, at 47 percent. An NDP slump in the vote-rich province would open a door for Trudeau. If no party wins a majority of districts in 2019, Singh wouldn't rule out supporting the Conservatives to topple a Trudeau government. "I'd be willing to work with anyone to help achieve our values," he said. "The future's looking more and more bleak, and I want to get at: how do we build an economy where we all benefit?" The party will look to capitalize on Singh's popularity as the Liberals did with Trudeau. The name Jagmeet -- pronounced "jug like hug," he says -- is itself something of a marketing campaign with "Jagmeet and Greet" events. "It means friend to the world," he said. "And I'm a politician. That's literally what I need to do." If his approach gains momentum, a strong NDP would threaten urban seats core to Trudeau's majority and steal votes from the Liberals, allowing the Conservatives to win key three-way races. So far, though, Singh has faltered -- in six mid-term elections since he became leader, the NDP captured a lower share of the vote than in 2015. If he can't revive his fortunes, Trudeau will have an easy path to victory in 2019.